In May 2012, over 200 storytelling kits were sent to people who have been helped by the Red Cross. The kits included a Sony-donated camera and an instructional DVD from Director Eliot Rausch. These are the stories they sent back. 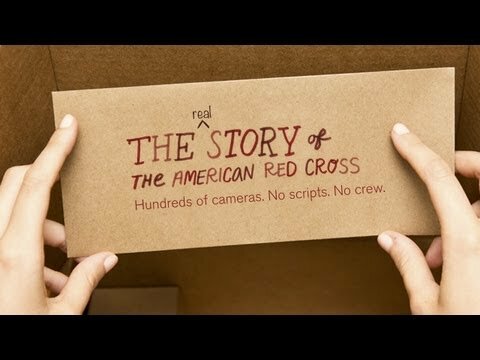 The documentary-style public service campaign aired during the holiday season to highlight how donations allow the Red Cross to aid people in disasters big or small. As one of the most recognizable brands, the non-profit organization is in a rare position where advertising campaigns rely on the viewer’s compassion. Director Eliot Rausch was the perfect visionary to produce the series, translating the Red Cross’ mission by enabling the real-life beneficiaries to tell their stories themselves. The stories range from families whose homes were destroyed by fires and floods, newborn twins saved by a single blood donation, and one teenager whose Red Cross CPR training helped him to save a life. Heart strings, pulled. Storytelling at its finest.